When this book first came out I remember attempting to read it, and at the time it just wasn't the right fit so I put it down. 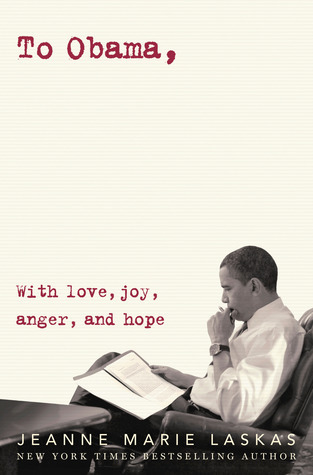 Sometimes our moods affect what we read, and how we feel about it. So many of my friends loved this one by Miranda Kenneally, so I knew I wanted to go back and give it another shot when the time was right. My second chance came when Estelle asked me to be a part of a casual read-along with a small group of bookish friends. I thought this would be a great opportunity to give it another go and also have people to discuss the book with. Jordan Woods is not your typical high school girl. She isn't into shopping, gossip, or fawning over the latest crush. What she is into revolves around football, arm wrestling, hangin' with the guys, and snagging that coveted spot on Alabama's college football team. I will admit, I had a hard time connecting with Jordan; mainly because she is so different from me. I was very much the girly girl in high school. Trying to read the story through her eyes posed an obstacle for me quite a few times. Then there's the boy. Wait. Not just one boy, but two: Sam (or is it Henry? the reference to characters by their last names started to confuse me - must be a football thing!) and Ty. Immediately I knew how this would play out. One guy is the best friend who's always been by Jordan's side -- even sleeping by her side; while the other is the hot new boy who shows up threatening her position as QB1 (yes, I watched Friday Night Lights!). Even though I knew how it would all pan out, I was still invested enough to follow along. There were moments of the story that I felt were a bit rushed, so much that it left me confused on why a character would act the way they did. After some discussion with Estelle as I was reading along, she shed some light on the situation for me. Jordan is a very sheltered character. What may seem so obvious to me, did not always present itself to her that way. I find myself doing this sometimes when I read young adult literature. I have to shift gears a bit and remind myself that teenage Ginger would have done things differently, too. Overall I enjoyed the book. I can definitely see potential in Miranda's writing and am interested in reading more from her. So I guess it's a good thing our casual read-along is continuing with Stealing Parker (the second book in this series). I am so glad that you gave CJ a second chance. I WILL TRY NOT TO TAKE ALL THE CREDIT. I do like that Jordan isn't your typical female main character... even if the story isn't entirely perfect. I still feel really glad we have Jordan to experience first because we can really see Miranda's writing growth! eugh I was at the library today but I forgot to check this one out!! I know E is a big fan of Miranda so I'm excited to read it. I do have a copy of Stealing Parker. I agree about forgetting being a teen vs. now, it's easy to think WHY ARE THEY DOING THIS? even though it's very teenage-y. Great review, Ginger! I'm so glad you enjoyed this book your second time around! I love Miranda Kenneally so much. I actually had no idea when I was reading how the Sam Henry/Ty thing would play out, but in hindsight I was probably being really dense. I hope you enjoy her other novels. I've had this one on my shelf for a while. I need to pull it out and read it soon! Great review! Oh YAY! I just bought this one with a gift card recently. I was unsure about it but I couldn't find it at the library so I was like well I'll just buy it. This makes me so happy you enjoyed it because that means I probs will too! I find that I have the same problem with YA sometimes! I'll be like really? Why wouldn't you just do this?? and then I bang my head on something. lol. What I think is most appealing to me about this book is the fact that Jordan is not your typical girl. That will always and forever give me a reason to want to read this. I've had it for a while, and haven't read it, but your review reminded me that I want to! 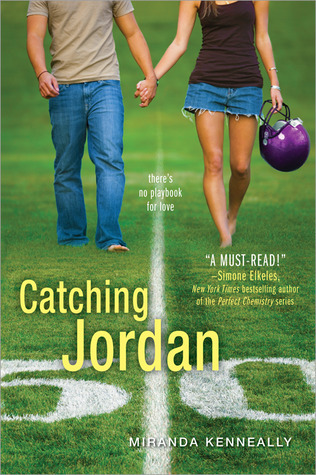 Catching Jordan is not simply a love story. It's so so so much more; It's about going for your dreams, overcoming obstacles and never giving up believing they will happen. You will undoubtedly finish this book with a smile on your face!